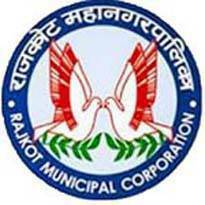 Rajkot Municipal Corporation (RMC) Recruitment Notification 2018.RMC inviting applications for the positions of Engineer.Interested and Eligible candidates can apply for the positions. Last Date for Submission of Application is on July 23rd, 2018. Candidates must be completed Engineer from the recognized Organization / Board. Candidates, age must be Minimum 21 years and maximum 35 years. Forage relaxations check official notification. Candidates may apply the posts through online from 07th July 2018 to 23rd July 2018.